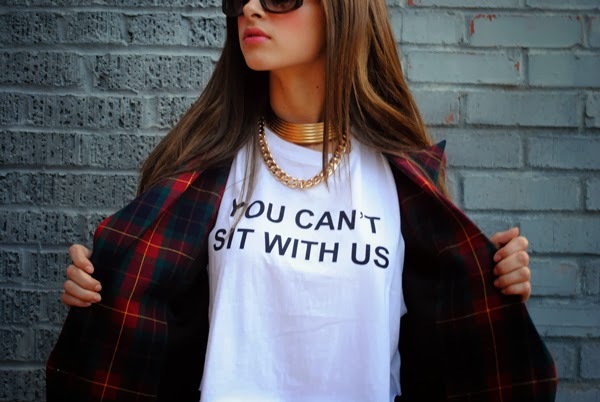 Scarlet Clothing: You Can't Sit With Us... Just Kidding. You Can't Sit With Us... Just Kidding. Mean girls don't have anything on us... And we can feel Blair Waldorf's evil eye of jealousy all the way over here... Plaid blazers aren't just for boarding school these days--mix it up by pairing this classic piece with a say-it-all graphic tee and some gold chain necklaces. Oh, and don't forget the pony hair pumps. Shop the look here.